As of November 6, the United States has experienced 307 mass shootings in 2017– almost as many days in the year so far. 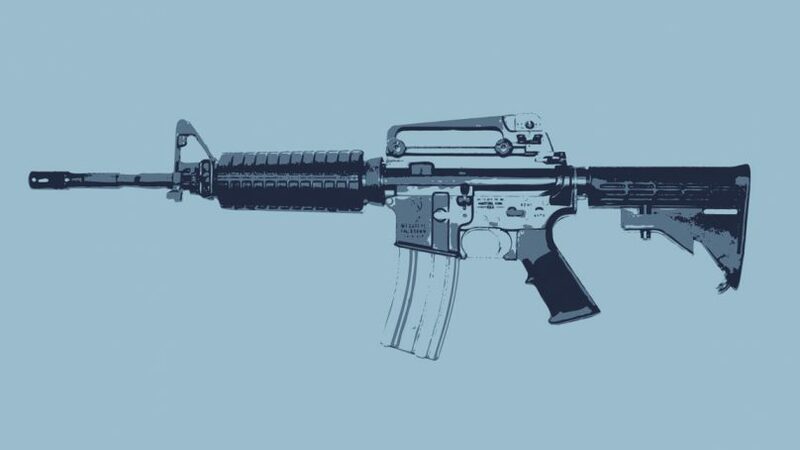 Due to the sheer number of mass shootings that the United States has experienced this year alone, the Vanderbilt Political Review decided to conduct an online survey to gauge Vanderbilt students’ attitudes about gun control. 488 responses were recorded, 50.2% of them male and 48.6% female. Furthermore, 76.4% of respondents were white, and each class contributed 20-30% of responses. Like you’d expect from a fairly liberal college campus, 72% of respondents said they were slightly, moderately, or extremely liberal. However, only 55.5% of all respondents said they most closely identify with the Democratic Party, as opposed to identifying with the Republican Party or being an Independent. Therefore, it’s reasonable to expect that the responses regarding gun control would be fairly liberal. However, despite less than a third of campus identifying as conservative, 45.7% of people said that owning a gun is an important part of their freedom. In addition, if given the option to change the U.S. Constitution, only 32.2% would remove the Second Amendment. While Vanderbilt is fairly liberal, it appears that students think that the Second Amendment and its perceived freedoms are important in the United States. Despite those somewhat surprising results, when it comes to gun regulation, our campus tends to agree with common-sense laws. Only 4.3% of students were against universal background checks – a staggering 95.7% were in favor. This mirrors the overall American opinion on this topic, as 96% of Americans are in favor of background checks. Plus, when asked if the United States should generally increase gun regulation, 86.3% of respondents said yes, this number again being higher than the percentage of liberals. This number is also higher than the national average, since Gallup polls find that 60% of people want stricter overall gun regulation. A last question about banning assault-style weapons came closer to emulating the liberal-conservative divide, as 77.9% of students were in favor of doing so. VPR’s survey shows that among Vanderbilt students, the liberal-conservative divide does not translate over to the debate about gun regulation. Plus, Vanderbilt students hold opinions not too far from the American mainstream. If anything, Vanderbilt’s opinions on gun control, like the university as a whole, skew liberal. In the end, it’s safe to say that VU’s views on guns are anything but predictable. pbuzyudtv,Some really nice stuff on this website, I enjoy it. I have a blog site with blog writer. I have actually registered my blog site utilizing a gmail account. Currently, I intend to make use of a new gmail account as well as I wanted to import my entire blog along with the messages and comments to this brand-new gmail id … Please tell me, is this possible and exactly how can it be done?. hcvvekcrff Yeezy 350,Very helpful and best artical information Thanks For sharing. I am writing to let you understand what a brilliant experience my princess went through browsing your web site. She picked up such a lot of pieces, which included what it is like to possess an excellent helping style to get many others smoothly learn about a number of hard to do things. You really surpassed our own desires. I appreciate you for coming up with those warm and friendly, dependable, revealing and even fun tips on the topic to Tanya. My wife and i felt satisfied that Chris could finish off his researching because of the precious recommendations he grabbed when using the web page. It’s not at all simplistic to simply find yourself giving freely tips others could have been making money from. So we discover we have the blog owner to give thanks to because of that. The specific illustrations you made, the easy website navigation, the friendships you can assist to create – it is mostly impressive, and it is assisting our son in addition to us reason why this article is awesome, and that’s quite vital. Thank you for all! lvtmoxmdq,This website truly has alll of the information and facts I wanted about this subject and didn?t know who to ask. I precisely wanted to thank you so much all over again. I am not sure the things that I could possibly have followed without the creative concepts shown by you directly on this concern. This has been a real horrifying difficulty for me personally, but looking at a new specialised tactic you dealt with that took me to leap with gladness. Now i’m happier for this guidance as well as pray you find out what a powerful job you are getting into instructing others by way of a site. I know that you haven’t met any of us. I simply want to mention I am just very new to blogging and honestly loved this web page. Almost certainly I’m going to bookmark your site . You really have really good stories. Cheers for revealing your blog. I must show my appreciation to you just for rescuing me from such a difficulty. Because of looking through the internet and getting proposals which were not productive, I thought my entire life was well over. Being alive without the answers to the issues you’ve solved all through the article content is a critical case, as well as those that would have negatively affected my career if I hadn’t come across your web blog. Your own personal ability and kindness in playing with the whole thing was useful. I don’t know what I would have done if I hadn’t discovered such a stuff like this. I’m able to now look forward to my future. Thanks so much for this reliable and sensible help. I won’t be reluctant to suggest your web sites to anybody who will need guidance about this situation. I want to express my appreciation to you for rescuing me from this type of challenge. After surfing through the world wide web and getting notions that were not productive, I was thinking my entire life was well over. Existing without the solutions to the problems you have fixed by means of your main article content is a crucial case, as well as ones that would have in a negative way affected my entire career if I hadn’t encountered your web page. Your natural talent and kindness in taking care of all the stuff was priceless. I am not sure what I would’ve done if I hadn’t encountered such a point like this. I can now look ahead to my future. Thanks for your time so much for this expert and effective guide. I won’t hesitate to suggest the sites to anybody who would like counselling about this subject matter.